After 120 days in the NICU, we came home Thursday!!!! My parents brought our oldest, Aubrey up to the hospital for Briella's discharge. I wanted Aubrey to always remember her homecoming. 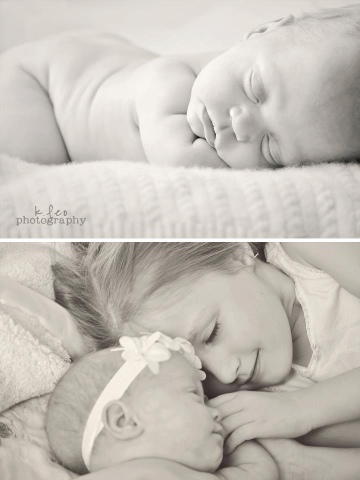 We had Jessica Strom photography there to capture Briella's first moments outside the hospital. 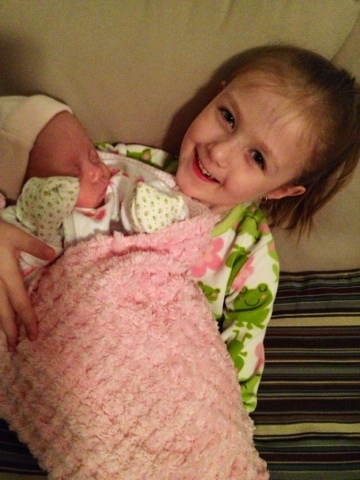 Aubrey was immediately the best big sister. 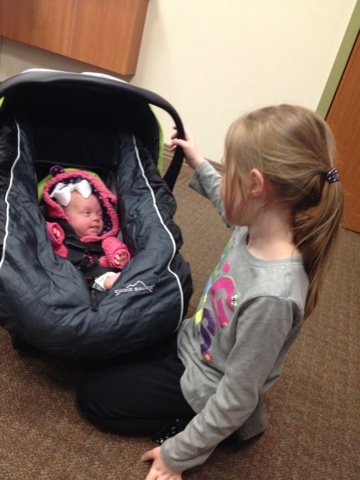 We couldn't get out of the waiting room without Aubrey wanting to rock her sister in the car seat. I cried the whole time. We were home around 2pm & starting with her 6pm feed she screamed and refused the bottle. About 8pm I was terrified that we were going to be re-admitted to the Nicu. Brian ran up to the store to get pediatric suppositories which took about an hour to work. After that all was well. It's taking some time getting used to our schedule. 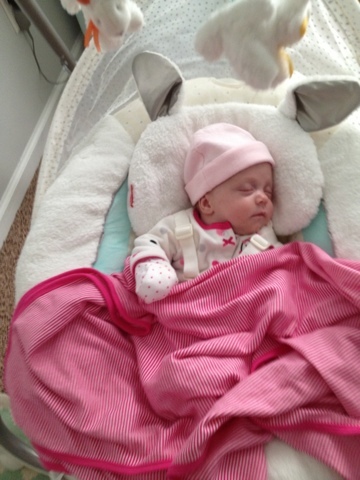 We feed her, then we have to sit her upright on our chests for 30 minutes to an hour due to her bad reflux. If we Lau her down too soon, she will spit up so much that she chokes pretty bad. I am not sleeping because she makes noises when she sleeps & every noise I'm afraid she is choking. The feedings take at least 30 minutes, plus the 45 minutes of holding, then pumping = hardly any sleep time. Briella has Children's Mercy Home Health Care a couple times a week. Today we had our first visit with First Steps, a program where an Occupational & Physical Therapist come to the house weekly until Brie is 3. 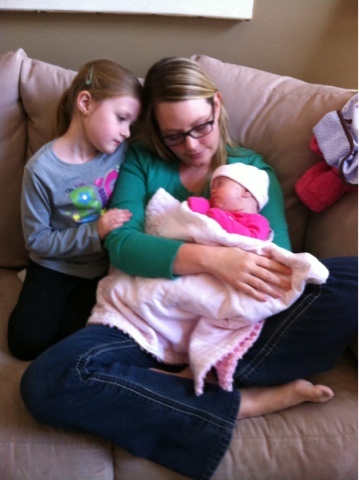 When Briella was discharged she weighed 7lbs 14 ounces & was 19.5 inches long. She has came so far!! As of Tuesday she is now 8lbs 3 oz!!!! 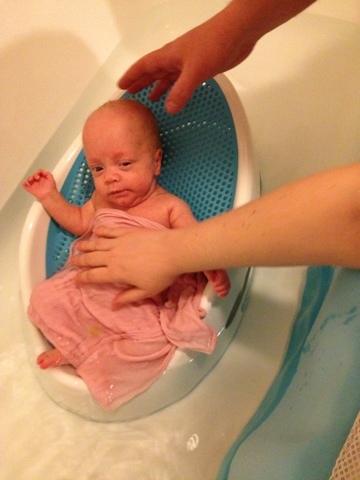 She enjoys taking baths, being rocked in her room, tummy time, being read to by her big sissy, & swinging. When Brian held Briella for the first time he stated that he couldn't wait to hold her at home snuggled up in the recliner while watching football. Well Brie came home just in time for the Superbowl! Perfect snuggling day! I want to thank each an every one of you for your continued prayers. I started this blog when I was still pregnant as a way to keep family & friends updated on my rough pregnancy. 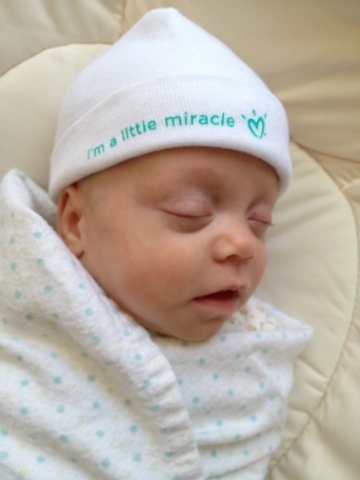 I never imagined it would reach 17 countries & we would have the prayers needed to bring a 1 pound baby home. I will continue to post updates here, just bare with me as I will do it as I have time. Please continue to pray for Briella's continued development. Pray that she continues eating well at home & stays healthy!